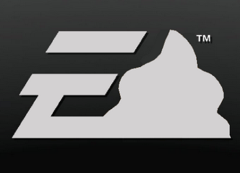 Image courtesy of EA is the reigning Worst Company In America title holder. EA is the reigning Worst Company In America title holder. Just hours after finding out his company was set to make another run at Worst Company In America, Electronic Arts has announced that CEO John Riccitiello has resigned. Riccitello, a name many gamers associate with EA’s nickel-and-diming microtransaction strategy, will remain in the job through March 30, at which point he will step down, along with giving up his seat on the company’s board of directors. Electronic Arts, one of the world’s biggest video game publishers, has long been despised by video game players for the company’s history of putting out semi-finished or partially complete games with the intention of making significantly more after-purchase money through add-on content that some say should — or at least could — have been included in the price of the original game. In just the last few weeks, it’s come under heavy fire from consumers. First, the company’s CFO stated publicly that the company intends to include these microtransactions in every game going forward. He later attempted to clarify, by saying that he was referring to the growing arena of free-to-play games. However, just last week the general manager of EA’s Maxis label made it quite clear that these in-game purchases were part of the reason that the new version of SimCity was developed as an always-online game that requires an Internet connection to play. And of course it’s that always-online aspect of SimCity 5 that has drawn the most ire from customers of late. EA failed to prepare itself for the onslaught of new users attempting to play the game from day one. Its servers were immediately overloaded and many people were left without the ability to play a game they had plunked down a sizable amount of money for. We’ll probably be discussing EA a lot more in the days to come, as it fights its way through the WCIA brackets, attempting to become the first business to win a second Golden Poo trophy. In the coming days, it will square off against another acquisition-happy company that seems intent on killing everyone’s buzz — Anheuser-Busch InBev.